So you’re moving across the country. Maybe an exciting new job is taking you from Florida to California, maybe you want to be closer to friends and family or maybe you simply want to experience life in a new city. No matter what your reasons for moving cross-country, it’s important to prepare thoroughly beforehand so that your experience is as smooth and seamless as possible. A-1 Fargo has been helping the businesses and residents of Florida with all of their moving needs for more than half a century, and our team has prepared a list of helpful tips to make your transition from Florida to California a little bit easier. 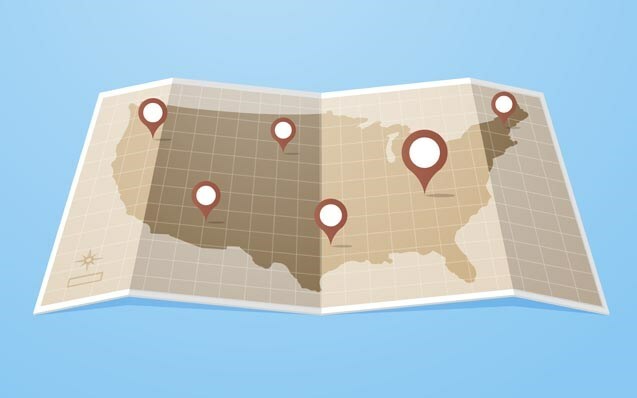 If your exact location in California isn’t being decided by an employer, be sure and do extensive research before choosing an area to move to. You can find and explore what the best neighborhoods are, research the rental/real estate markets and the cost of living in those areas, check crime statistics, education and school data and the culture of the area. Taking all of these factors into consideration before your big move will help your new city feel like home right away. If you aren’t able to visit the area before moving and need to choose an apartment or home to rent/buy, consider staying somewhere for a few weeks or months right when you arrive in California. That way, you may look for your new place in person and have more time to do local research and walk-throughs. Finally, de-clutter and whittle down as much of your “stuff” as you can. This will save you money on the costs of shipping and transporting from Florida to California. Consider hosting a garage sale or selling items online before your moving day. Whether you’re driving or flying from Florida to California, the big day can be a very stressful time. Set aside time in your schedule to say goodbye and transfer over any necessary accounts so that all you have to focus on during your transition is getting from point A to point B. If you’re driving, don’t be afraid to take breaks, rest and take your time being on the road. Keep all necessary moving documents on your person so that you have everything you need as soon as you arrive at your new home. It may be tempting to immediately focus on unpacking all of your belongings right away, but it’s also important to take the time to explore your new surroundings. This could be as simple as taking a walk around the neighborhood to scoping out all the perks and benefits of your new city. Take the time to make yourself feel at home! For even more tips and tricks for a major long-distance move from Florida to California, call the experts at A-1 Fargo! You can call one of our friendly, knowledgeable representatives today or fill out our easy form to receive your free, no-obligation quote!